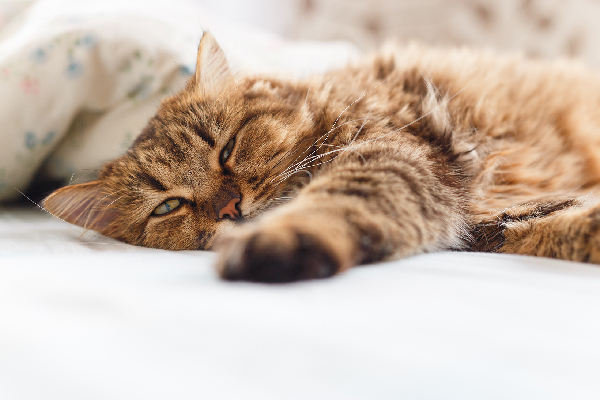 Next on The Scoop: Catster Quiz: Is Your Cat a Hot Mess? These tiny cats have their own needs and attributes; here are 22 basics to help you. Editor’s note: This story originally appeared in the July/August 2016 issue of Catster print magazine. 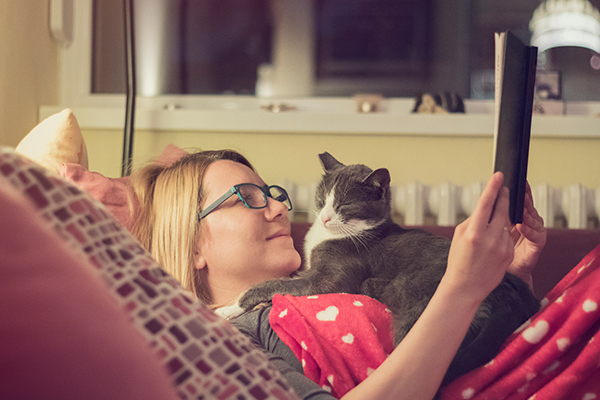 Click here to subscribe to Catster magazine. They make us smile and laugh. They make us say “Aww!” But these babies have distinct needs and attributes. We’ll guide you through 22 of them. Newborn kittens are completely helpless and totally dependent on their mothers for nourishment, warmth, and elimination. If they’re orphaned, they need 24/7 care from a kind human. 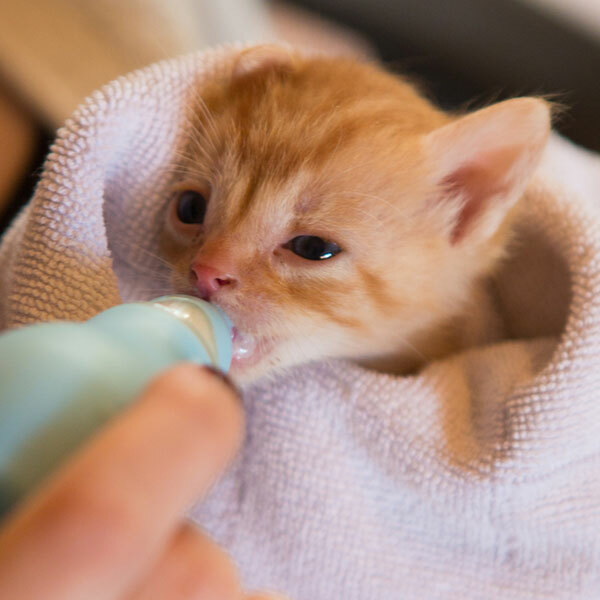 (If you find an orphaned kitten less than 5 weeks old, feed a kitten milk replacement formula.) They need to stay warm and eat every couple of hours around the clock. They even need help pottying. From birth to about 5 weeks old, kittens rely on their mothers to stimulate their genitalia so they can urinate and defecate. A foster parent can help with that by taking a warm, wet cotton ball and gently rubbing the kitten’s genitalia. Without this help, they could die. During kittens’ first 12 weeks, they learn who’s safe and trustworthy, what’s good to eat, and where the bathroom is. To become socialized and friendly toward people, this is the time for loving humand hands to hold them, pet them, feed them, and, once they start playing, have fun with them. For about the first 12 weeks, kittens also become socialized toward other cats. 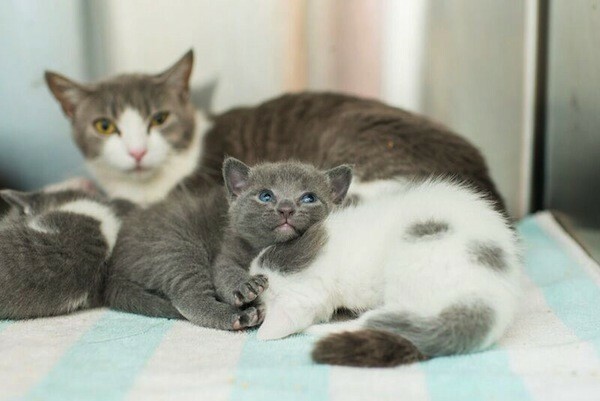 They learn appropriate respect toward adult cats from their mothers and how to get along with their peers from their littermates. They learn things like where they stand in a hierarchy, to respect other cats’ territory, and how to fight fair. Their eyes open with a bluish hue at about 2 weeks of age, and some breeds — such as Siamese, Tonkinese, and Ragdoll — keep their blue eye color. 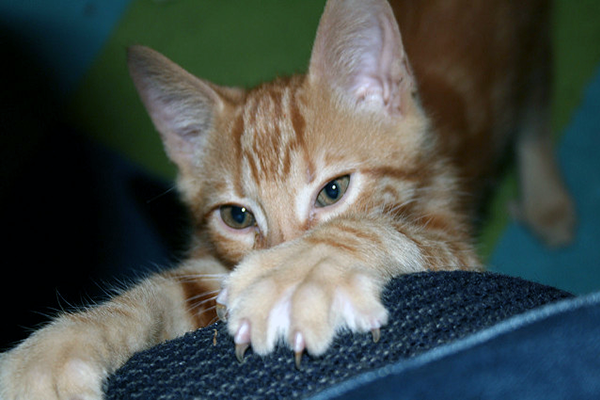 You might see a range of colors during a kitten’s first year before her eyes change into their permanent color. Cats are equipped with an extra organ involved in their sense of smell. 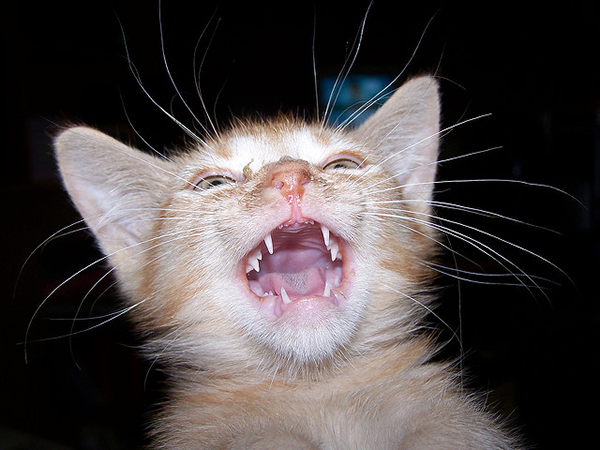 Located at the roof of their mouths, the vomeronasal organ enables cats to heighten the power of their sense of smell. By 4 weeks of age, this organ is fully developed. Kittens rely on their smelling acuity to find Mom because their sense of sight and hearing are not yet fully developed. Except for bats and moths, cats have the best hearing of all land animals. They are born deaf, but when their amazing sense of hearing is fully developed by 4 weeks of age, they can hear 65,000 cycles per second (or hertz), whereas we can only hear 20,000. Kittens are born blind and don’t even open their eyes for their first week or two after birth. While their eyesight is undeveloped, they are adept at using their whiskers and sense of smell to get around. Fully developed by 5 weeks of age, their eyesight is different from ours. As nocturnal hunters, cats are designed to distinguish movement and perceive depth better than we can and see in light six times dimmer than we can. Yet they lack the ability to see the full spectrum of colors we see. 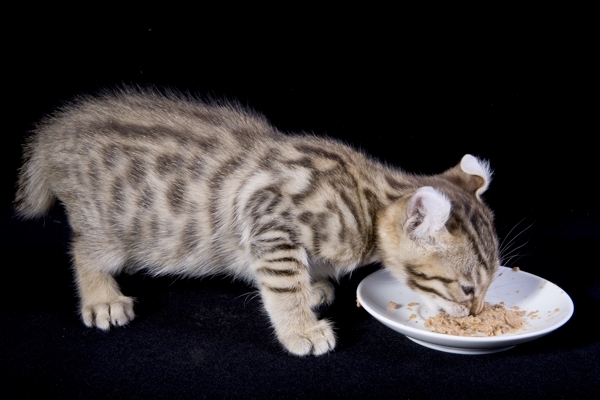 Once the weaning process begins at about 5 weeks of age, kittens can eat wet or dry food. They might need to transition during this time with a mix of kitten formula and solid food. Cats are obligate carnivores, meaning they get their nutrients from meat. Choose a kitten food that is a growth formula for about the first year. This is the time to give them a variety of kitten foods so they don’t become picky eaters. If you ever have to switch their diets for health reasons, you want them to have an adaptable palate. Clean the litter box at least once a day. If your kitten isn’t using it, experiment with litters until you find one she likes. 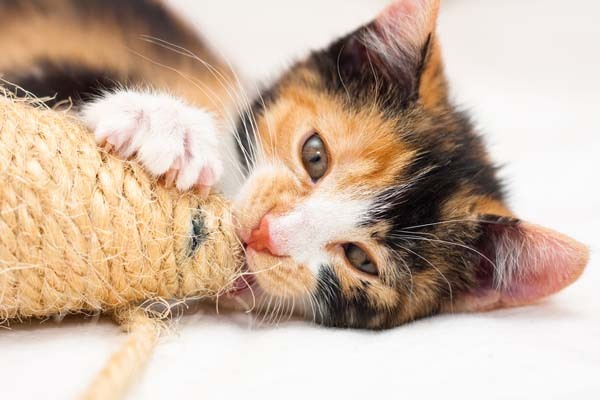 Kittens usually prefer something soft and sand-like. If she eats the litter, use edible formula like corn or wheat. Provide one with low sides so they can get in and out of it on their own. As they grow, they will need a litter box that is one-and-a-half times their length. Handle their paws, and open their mouths to look at their teeth, because this will make nail trimming, pilling, and tooth brushing when they are adults easier. Fleas can cause tapeworm and a host of diseases. In kittens, these parasites can cause anemia, which can be fatal. 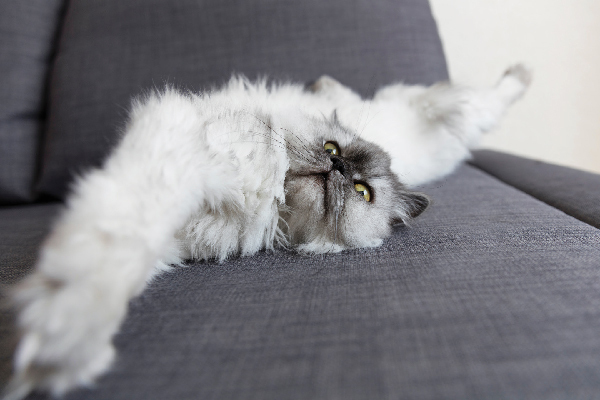 Improper use of flea-control products is also dangerous and sometimes fatal. Follow packaging directions on any topical treatments. Use a flea comb, bathe your kitten, and wash bedding. Vacuum around the house to battle an infestation. Involve your veterinarian for guidance. 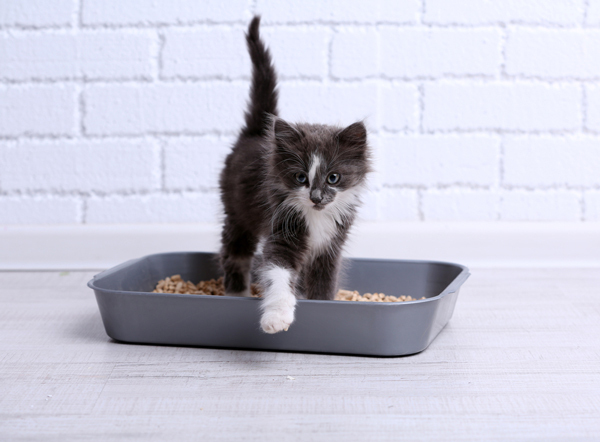 Before bringing your kitten home, prepare a safe, enclosed space equipped with food and water dishes, litter box, scratching post, and bed. Let her stay in this room before opening up the rest of the house to her. A big, unexplored house can be overwhelming, and she’ll feel more comfortable getting to know a small space first. to spay/neuter. 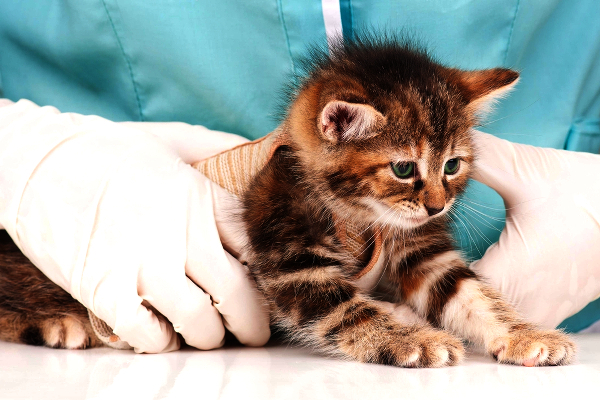 Your kitten’s first wellness check is essential. Kittens grow through infancy, childhood, adolescence, and into young adulthood in the first two years. By the age of 2, their eye color, coat color, pattern and length, and personality will be well-established.